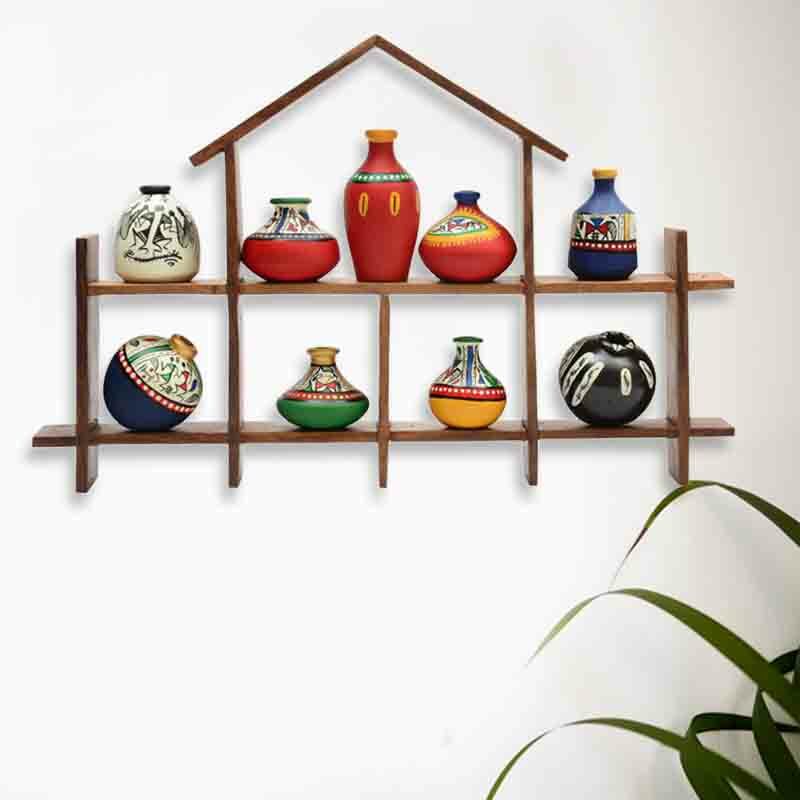 This beautiful piece of wall décor has been crafted in beautiful Dhokra art with miniautre Warli handpainted motives around it giving it a complete ethnic look. Discount coupons are not applicable on this product as this is already a heavily discounted product. Moorni.com is a best shop to buy Handicrafts, Handmade Products, Home & Garden Decors, Arts, Paintings and Moorni Dhokra and Warli Handpainted Wall Hanging - EL-002-017 in Dubai, Abu Dhabi, Sharjah, UAE. Now Shipping to Doha Qatar, KSA - Saudi Arabia, Bahrain, Kuwait, Oman in the GCC and 1 Day Delivery in UAE.